The purpose of this study was to examine perceptions and practice of safety classes within elementary PE curriculum with PE specialist teachers. Five elementary PE specialist teachers who had at least five years of teaching experience participated in this study. Data were collected from non-participant class observations, in-depth interviews, and documents. Data were analyzed through the inductive categorical analysis. The results of this study are as follows: First, PE specialist teachers perceived that safe PE classes can be achieved by dealing with risks embedded within PE classes such as subject-innate, facility, environmental, and managerial components. Second, PE specialist teachers implemented safety classes by: (a) intentional class activities with detailed lesson plans, (b) reconstructing curriculum, and (c) making safety as a habit not as information acquisition. Third, participants had difficulty in teaching safety in PE classes due to: (a) outcome-oriented safety-first policy, (b) breach of safety codes between teacher and administrator, (c) limited contact with students, and (d) different level of sensitivity to safety issues. The findings suggest that teaching safety in PE classes are complex pedagogical activities that goes beyond teaching CPR or first aids and teacher education program should conceptualize safety issues from a pedagogical perspective. PARK, Yongnam. How Do Specialist Teachers Practice Safety Lessons? Exploring the Aspects of Physical Education Safety Lessons in Elementary Schools. International Electronic Journal of Elementary Education, [S.l. ], v. 10, n. 4, p. 457-461, apr. 2018. ISSN 1307-9298. 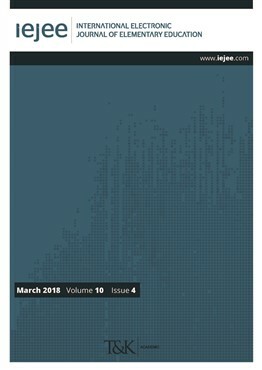 Available at: <https://iejee.com/index.php/IEJEE/article/view/421>. Date accessed: 18 apr. 2019. Bailey, R. (2002). Questioning as a teaching strategy in physical education. The Bulletin of Physical Education, 38(2), 119-126. Beaumont, G. (2007). Health and Safety. Physical Education Matters, 2(1), 31. Capel, S. (2000). Re-reflecting on priorities for physical education: now and in the twenty- first century. In S. Capel, and S. Piotrowski (Eds. ), Issues in Physical Education (pp. 209-220), London: Routledge. Chappell, A. (2015). Teaching safely and safety in PE. In S. Capel and M. Whitehead (Eds. ), Learning to teach physical education in the secondary school (4th ed., pp. 184-203), London: Routledge. Jewett, A. E., Bain, L. L., & Ennis, C. D. (1995). The curriculum process in physical education (2nd ed.). Dubuque: Brown & Benchmark. Kelly, L. (1997). Safety in PE. In S. Capel (ed. ), Learning to teach physical education in the secondary school: A companion to school experience (pp. 115-219), London: Routledge. Ministry of Education, Science and Technology (MEST) (2012). Physical Education Curriculum of the Republic of Korea. Seoul: MEST. Raymond, C. (1999). Safety across the curriculum. London: Falmer Press. Severs, J. (2003). Safety and risk in primary school physical education: A guide for teacher. London: Routledge. Whitlam, P. (2003). Risk management principles. In J. Severs (Ed. ), Safety and risk in primary school physical education (pp. 30-42), London: Routledge. Whitlam, P. (2005). Case law in physical education and school sport: A guide to good practice. Leeds: BAALPE/Coachwise.